Is there a better alternative to Minute Commander? Is Minute Commander really the best app in Strategy and War category? Will Minute Commander work good on macOS 10.13.4? 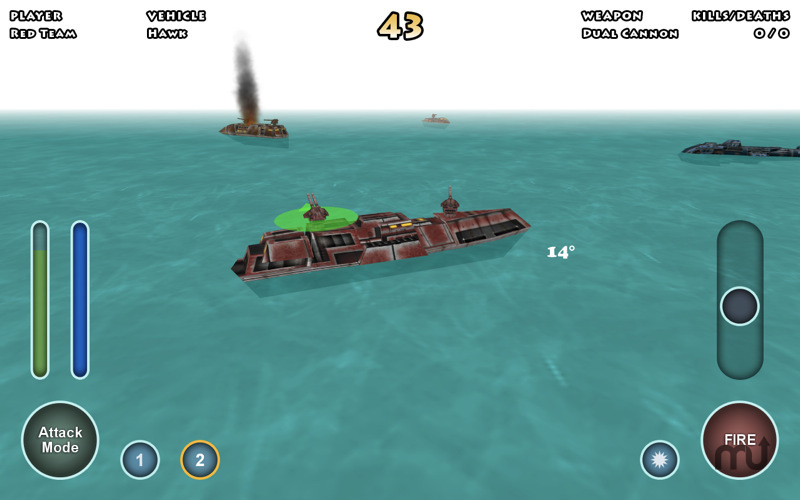 Minute Commander is a futuristic turn-based 3d naval battle game in which you can play against 2-3 of your friends or against computer players. The game is played with SINGLE device and one turn lasts one MINUTE. The main goal is to destroy your enemy. Each player has a fleet consisting of one heavy, two medium and two light class ships. The ships are equipped with stock weapons when the battle starts. Larger range of weapons are delivered to the battle area as the game advances. Minute Commander needs a review. Be the first to review this app and get the discussion started! Minute Commander needs a rating. Be the first to rate this app and get the discussion started!